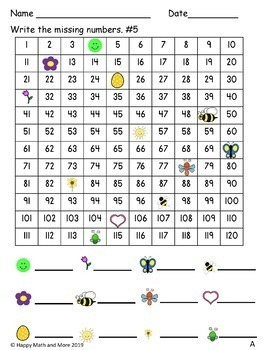 Included in this file are 5 differentiated sets of 120 charts with numbers hiding under fun spring pictures! 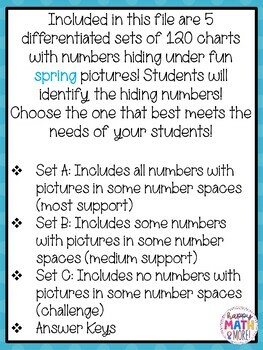 Students will identify the hiding numbers! Choose the one that best meets the needs of your students! 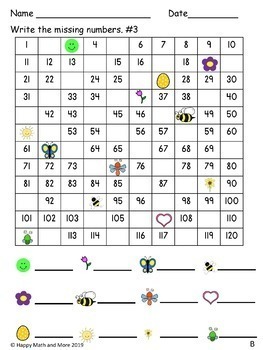 Summer 120 Charts with Missing Numbers Differentiated! 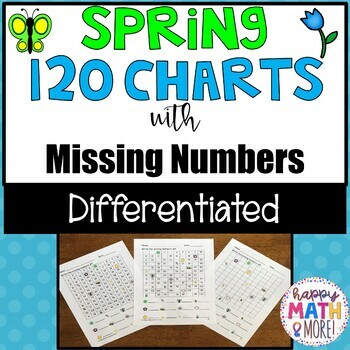 120 Charts with Missing Numbers Differentiated!